SAN ANTONIO – Real estate developers announced a new multifamily joint venture called the Montabella Pointe II. 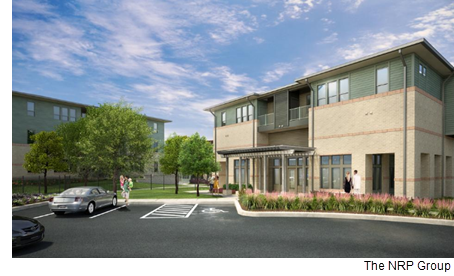 The 321-unit, 11-building apartment community will sit on 13 acres along North Foster Rd.​ and is located near Fort Sam Houston and Randolph Air Force Base. The 271,255-sf development will consist of 48 studio apartments, 159 one-bedroom apartments, 102 two-bedroom apartments and 12 three-bedroom units. a resident club facility with Wi-Fi. ​Check​ out San Antonio-New Braunfels Multifamily Market Research.